Check-in & Logistics: The check-in process was very smooth. Upon entering the grounds you were greeted with large, easily readable signs for registration including signs for the letters of alphabet assigned to each station. Waivers and pens were found on tables by the registration area. No complaints at all about this. Very well done by event organizers and staff. 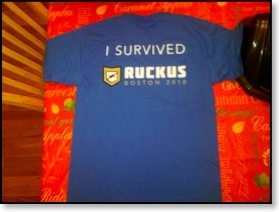 The Schwag: Ruckus Boston gave participants a nice event t-shirt at registration. Participants also got a medal upon completion of the course. Any other shwag was found in the surrounding booths with free Muscle Milk, massages, and CodeBlue recovery drink. Markedly no beer to get the party started. 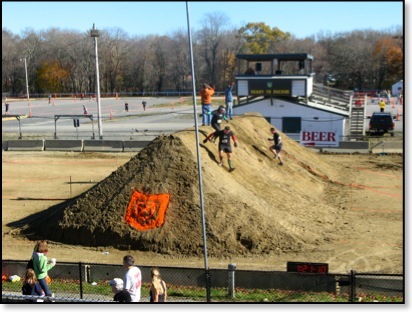 The Race: Now to the important part… And Ruckus Boston did not disappoint in a single way as far as the course went. After running the Maniac, I was a little bummed at such a flat track, but not even 60 seconds in, and I was already happy. 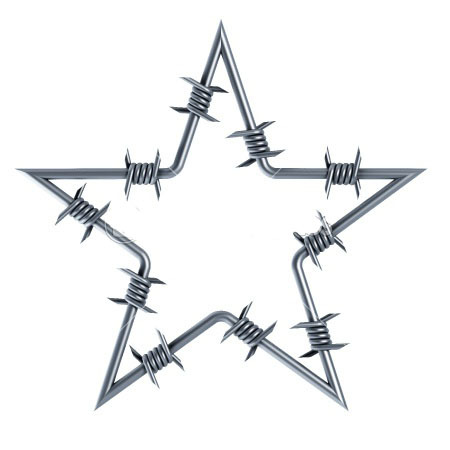 Shortly after the starting siren, you hit your first barbed wire crawl. Then after a quick jaunt in the woods to a part of the course blocked to spectators, you come to the first obstacle: 3-4’ deep pits of muddy water separated by berms made of dirt. I lost count of how many there were, but I believe it was close to 10 of them. The race has just started, and you’re already wet with rocks in your shoes. After that you quickly make your way to the next obstacle: a 3-4’ deep trench filled with muddy water where you need to go over or under a set of logs. Then came a bit of a meandering jog around that back part of the course. 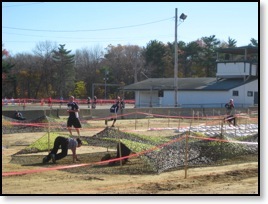 You could see people already blown out from the first few obstacles. I have to hand it to Ruckus Sports. They definitely threw you right into the fire immediately, and you were playing catch up after that. After your meandering run, you came to a set buildings that you weaved your way through. Almost each section of the weave met you with either a wire or net crawl with Normandy barriers, or it met you with staggered walls. I think there was one section with nothing, and I remember thinking “whew time for a break”, but then I round the next corner to be greeted with more walls. It was a fun little section. Once you clear the buildings, it’s a jog to the other side of the trees where spectators can see you again. After another meandering run, you get to the uneven walls. Some people were waiting in line to go through the center of the wall since that was easiest with a foot hold, but you could jam right up the sides if you were impatient like me. Quickly after clearing the uneven walls, you get to the commando pole. I’d suggest Ruckus Sports has matting going all the way to the end next time because I saw some people take some hard falls when trying to dismount. 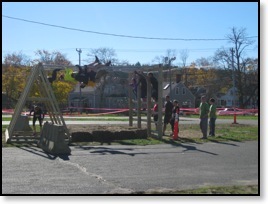 Once you get through the commando pole, you hit another series of new crawls, monkey bars, the commando rope crawl, tires to bear crawl over, and an 8’ wall. I say this in no particular order because I can’t remember the order. I was pretty wiped by this time. I’ve learned my lesson that I am in fact not Superman. Next time I want experiment with Four Loko and get only a few hours sleep, I’ll make sure not to do it before a race because I was in ROUGH shape. I was a little ashamed of the resulting performance as well. This leads you to the balance beam, and one could imagine that this was tough for me at this point. You dismount the beam and run head long into some Jersey barriers to hurdle. I could smell the end at this point though, and the final push kicks in. You get to the most brutal obstacle of the day if you didn’t have gloves and something protecting your knees: the pipe crawl. These were a series of what looked like small aqueduct pipes that were made of cement. 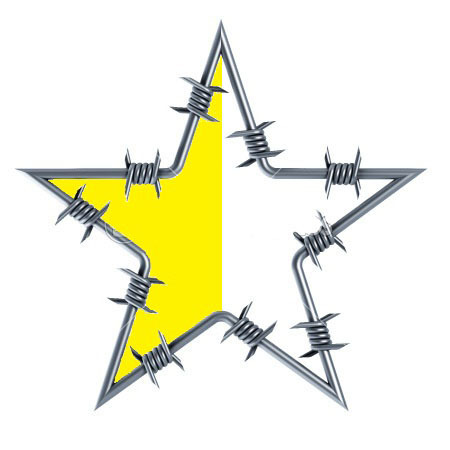 They took great joy in ripping apart your hands and knees as you crawled through them. Whew! You getting all this? 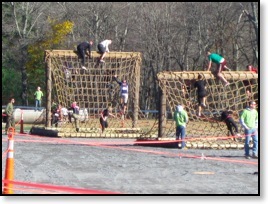 Well before you get to the final stretch, you have to navigate more tires and 3 cargo nets of different heights. Finally you’re there! A few crawls and trips up and down the giant mount later, and you’re done for the day. Enjoy that medal, Ruckus Racers! You earned it! The Verdict: This course was amazing. This was only my second race, so I’ll gain perspective as I go, but this course is what I had imagined when I was getting into these races. It delivered on every level. 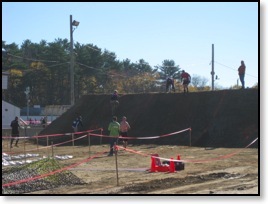 There was a very good mix of obstacles and running. If I had any suggestions to event organizers, it’d be to upgrade the music. I almost felt like I was at a 5th grade dance. Also, I’d widen the uneven walls and the 8’ wall. Both were just wide enough for 2 people to go over at a time and caused the most bottle necks I saw during the day. I also have to mention two things that I thought were totally awesome and very good. The totally awesome thing was the fact that wave times were posted as they came in. You could instantly check to see how you did. The top 10% in each category qualified for the “Champions Heat”, which the top racers hit the course again to race for first place. This was a very cool aspect if this event. Event organizers, take note! The very good thing was that they had a “Mini-Ruckus” for kids. They were timed and got shirts and medals too. Fun for the whole family! Now onto the not-so-good. This course delivered in spades for a 5k course. That is an awesome thing to build an event around obviously. The rest of the event was so-so though. The music really was uninspiring as was the MC’ing at the start line. Other events have music that is pumping you up and MC’s to do the same. I think that helps to build a positive event atmosphere because other events I did had other racers cheering each other on and had party-type atmospheres. Here I had people looking at me like I had 3 heads when I was on the side of the course trying to cheer people on. Perhaps it was lack of a free beer ticket that failed to loosen people and get things going. 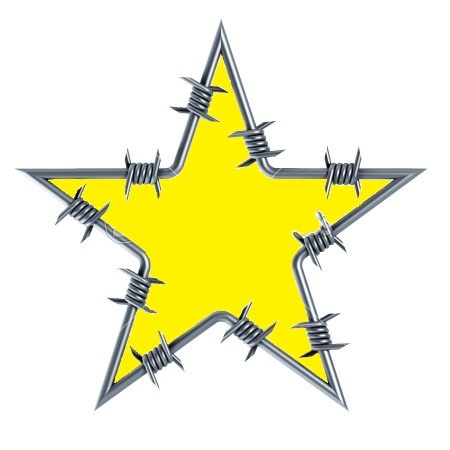 If this event had a good atmosphere, it’d be hard not to give it 5 stars for a 5k race. However, I think the atmosphere is a huge part of these events, so I just can’t do that. Out of the two events I’ve done, this was by far the better course of the two. 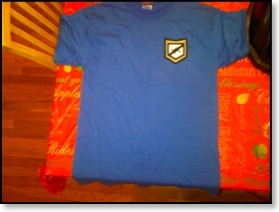 Keep up the good work, Ruckus Sports. I hope to hit your event next year!